Drive pass Raj Bhavan, Akashvani Bhavan (All India Radio), St. John’s Church, Bidhan Sabha (Assembly), High Court, Treasury Building, GPO, Writer’s Building, Howrah Bridge. Belur Math, Dakshineswar Temple, Jain Temple, Police Museum, Raja Ramohan Museum. Saheed Minar, Town Hall (Eden Garden Drive pass), Princep Ghat, River Side Ganga, Netaji Bhavan, St.Paul’s Cathedral, Victoria Memorial. Tour end at Victoria Memorial at 5.00 pm (Approx). Excludes: Entry fees, Lunch. Rate: 450/- Per Head. Canopied with bondless azure sky with babbling streams & rivulets flowing across the endless stretch of greenery – the Sundari, Garan, Keora, Hental, Dhundul, Golpata, Passur, Garjan, Kakra & many other variety of trees – World’s best mangrove forest, the largest delta of the world, with all her exotic beauty & silent mystery – The Sundarbans is waiting to welcome you. 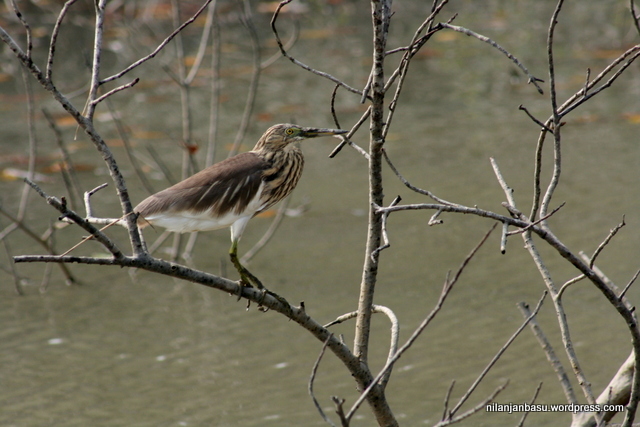 The deep dense forest, the murmur of the sparking rivulets, various species of local & other migratory birds as Tern, Kingfisher, Heron, Cormorant, Egret, Seagull, White Bellied Sea Eagle, Whimprel, Black Tailed Godwit, Little Stint, Sandpiper, Golden Plover, Pintail, White-eyed Pochard, Dalmatian Pelican, Osprey, Shaheen Falcon, Lesser Adjutant Stork & Estuarine Crocodiles basking in the wintry sunshine, Chinese Pangolin, Spotted & Axis Deer, Wild Boar, Rhesus Monkey, Leopard Cat, Indian Fishing Cat, Common Yellow Water Monitor, Marine Indian Soft/ Flap shelled Olive Ridley Turtles, Gigantic Dolphin, Hard shelled Batagur, Terrapin, Pythons, King Kobra, various type of lizards & the feeling of emancipation in the lap of nature will certainly touch your mind. 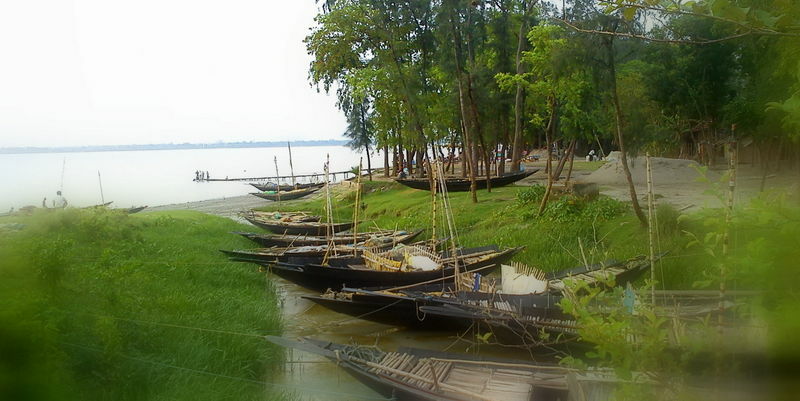 The inaccessibility of Sundarbans (declared as a Tiger Reserve on 1973) is its biggest attraction & in the mystery – shrouded Pirkhali, Gazikhali, Chora Ganjikhali, Deol Bharani, Bhagaban Bharani, Panchamukhani & Sunarkhari you may have a glimpse of that awful beauty- A Born Man Eater- The Royal Bengal Tiger. 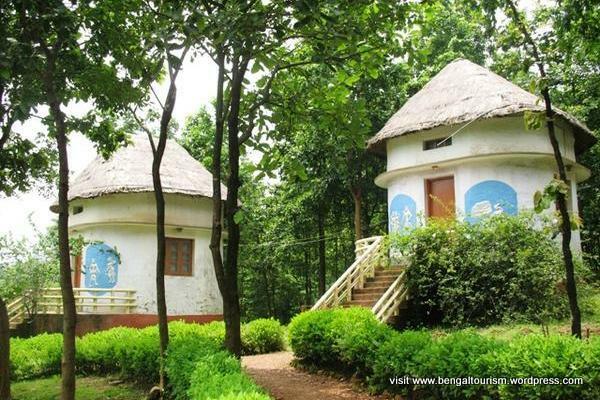 You may ascend the watch tower of Sajnekhali, Sudhanyakhali, Do Baanki, Marichjhapi, Burir Dabri & Netidhopani overlooking an untamed forestscape & enjoy sights & sounds of nature resplendent in her pristine virginal beauty. At dusk as the birds retire to their nests & the sky tinged with rays of the setting sun, the entire forest undergoes a subtle transformation when the shapes & forms, silhouetted against the evening sky, acquire a surrealistic character. The night stay in launch with eternal silvery moonlight, the star-studded blue sky & the constant murmur of the river is a different experience altogether. The variegated moods & colours of the forest form a Kaleidoscope, which is sure to fascinate you. The sounds of nocturnal birds at a distance will take your mind far far away from this madding world. 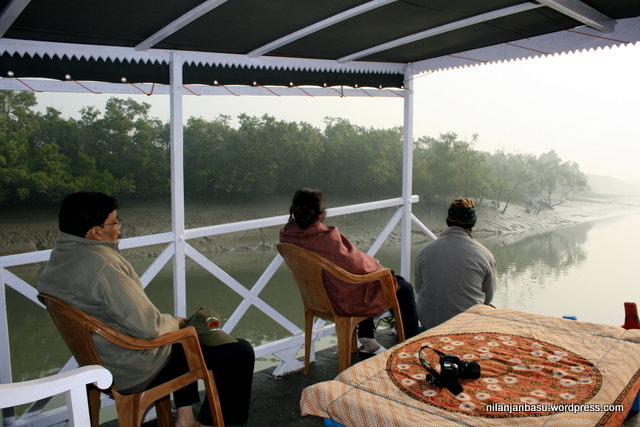 The most interesting wilderness of the world, Sundarbans is a paradise for wild life enthusiasts, bird & butterfly watchers. Honey collectors, fishermen with their typical fishing boats will be an added attraction. 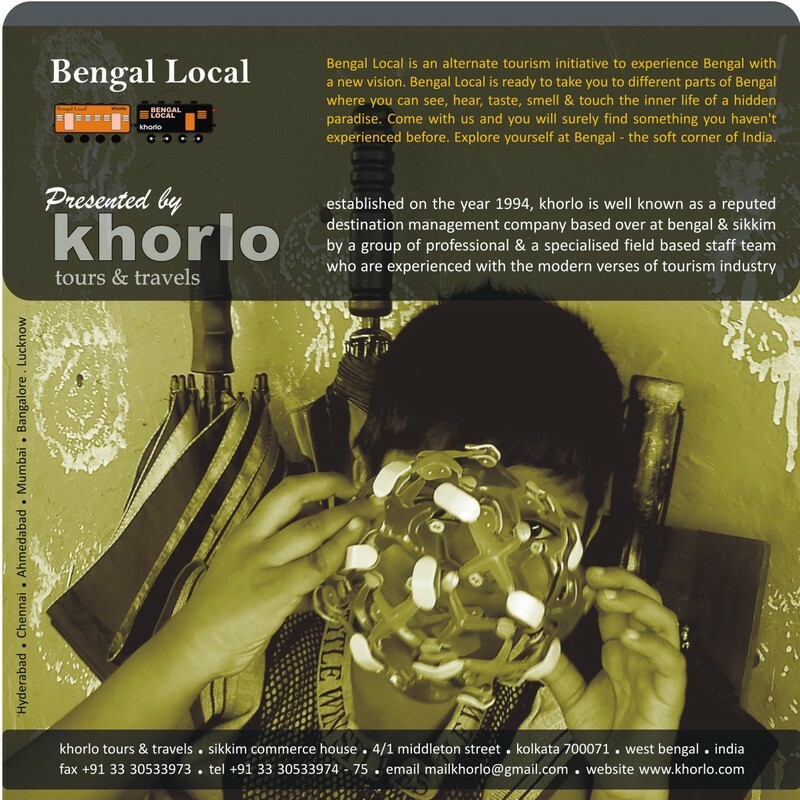 Be with Khorlo Tours & Travels on our own luxurious pleasure launch – destined to take you through the meandering canal of Durga Duani to the area of Tiger Project. While moving through the rippling waters of Matla you will come across rivers of different sizes & shapes named as Bidya, Hogol, Gosaba, Gona, Kartal, Netai, Raimangal, Kalindi, Haribhanga, Bidyadhari & Sundarban will unfold her myriad beauties before you one after other. Major Birds Found at Sundarbans: Tern, Kingfisher, Heron, Cormorant, Egret, Seagull, White Bellied Sea Eagle, Whimprel, Black Tailed Godwit, Little Stint, Sandpiper, Golden Plover, Pintail, White-eyed Pochard, Dalmatian Pelican, Osprey, Shaheen Falcon, Lesser Adjutant Stork & others. 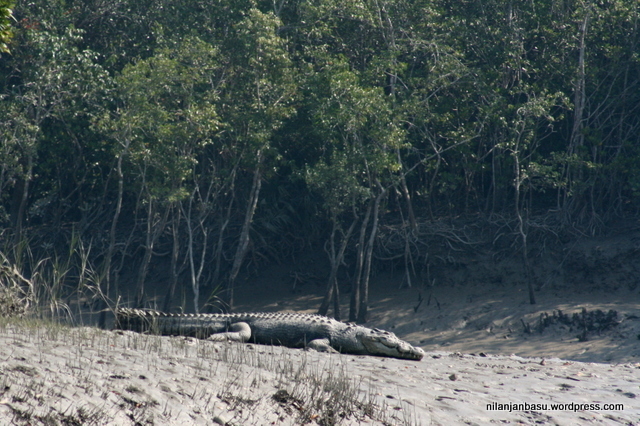 Major Animals Found at Sundarbans: Estuarine Crocodile, Chinese Pangolin, Spotted & Axis Deer, Wild Boar, Rhesus Monkey, Leopard Cat, Indian Fishing Cat, Common Yellow Water Monitor, Marine Indian Soft/ Flap shelled Olive Ridley Turtles, Gigantic Dolphin, Hard shelled Batagur, Terrapin, Pythons, King Kobra, various type of lizards etc. 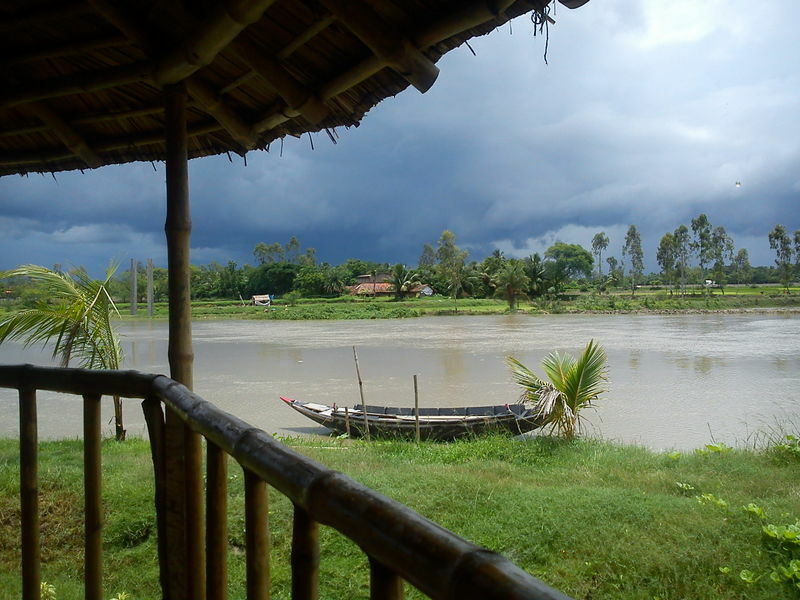 “mon chasha” is our latest rural based sustainable ecotourism module operating with social responsibility over at village paushi, east midnapore. “mon chasha” is a blend of authentic village culture, pure earthen tradition, cultural heritage of a speed less rural life and a true sentiment of natural india. 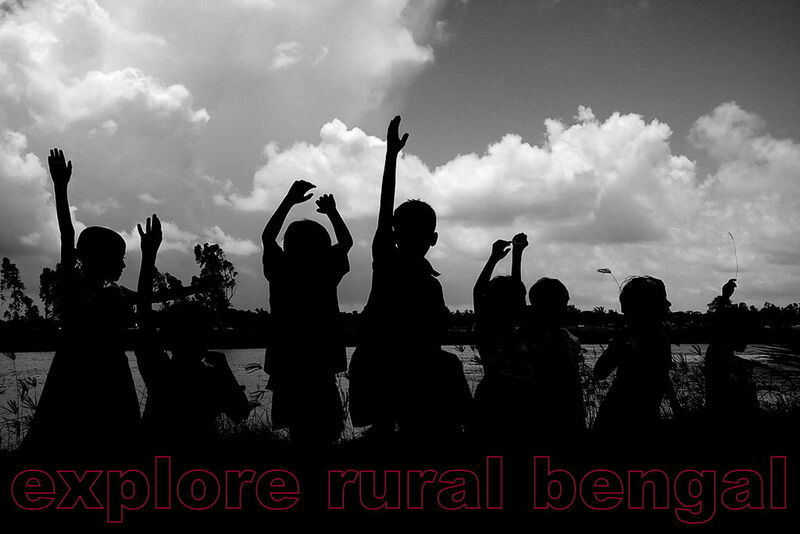 we are doing comprehensive research in finding out of suitable locations for village tourism, database of like minded tourists & their expectations, demarcate roles and responsibilities among various stakeholders, complete package to the guest families, scientific product development, provision and management of infrastructure, accommodation and food facilities, promotional plans and more importantly about the role of community for the strategic implementation of project. 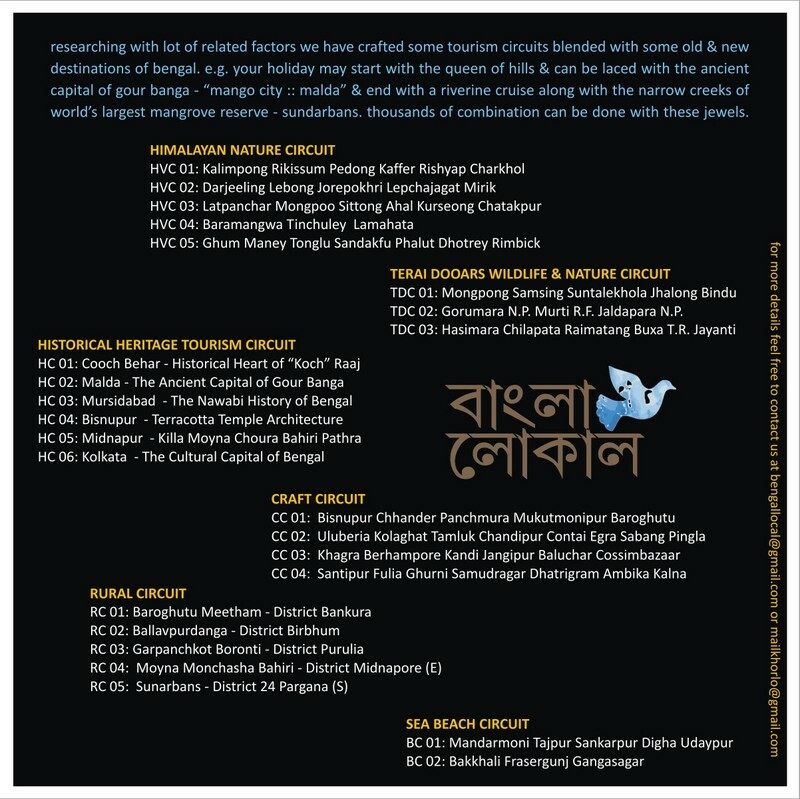 “mon chasha” is a journey, a theme of consciousness in global tourism arena by creating a sustainable ecotourism module with social responsibility, based on rural bengal. Q: Why we create MonChasha? Sikkim Commerce House, 4/1 Middleton Street, Ground Flr, Kolkata 700071, Bengal. We hereby request you for your personal presence over at “monchasha” which will surely recharge our endeavour. 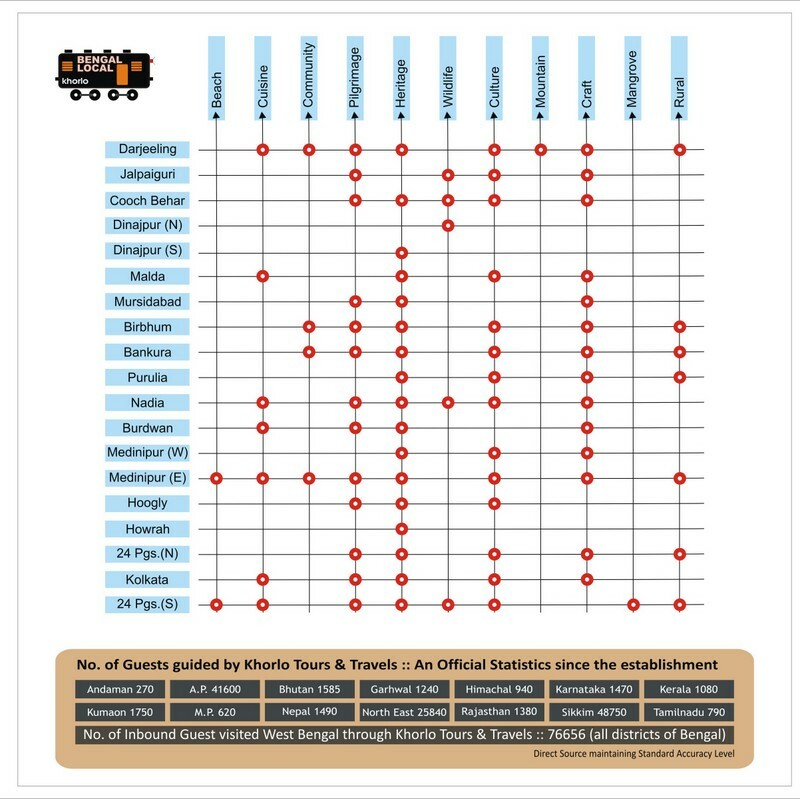 according to our confidence this model of tourism – “monchasha” will certainly uphold the flag of west bengal tourism in the hospitality sector. 3.30PM‐ Reporting at New Babughat Jetty. 4.00PM‐ Departure from Babughat by W.B.T.D.C Vessel M.V Sumangal, Cruise pass Dakshineswar. Reach Belur Math& disembark for Darshan. Back to W.B.T.D.C Vessel M.V Sumangal. Return to Babughat at 7 PM. Tour End. Note: Itinerary & Timings is subject to change. With the rising desire among people to have more exotic vacations coupled with the rise in the popularity of tea, especially green tea, tea tourism is becoming increasingly popular and finally realizing its potential as an amazing holiday experience. The clean air, the aromatic teas and the fresh international vegetarian food (+egg items) help the guests unwind and relax. Trips to the tea factory with professional tea-tasting sessions are also arranged, giving guests a rare insight into the manufacturing processes of world-class teas. Hiking sessions on the tea slopes and interactions with tea pluckers are especially enjoyed by the guests. Selim Hill is a sprawling organic tea estate located in Kurseong area and in Darjeeling district. It’s perched on a hill slope with varying elevations that rises up to some 3,500ft and facing the mountain on its north. The estate is spread over a gross area of 370 hectares out of which tea plantation is done in 170 hectares. It is spilt into upper and lowers segments and includes four villages. There are over 200 workers employed in the garden. Selim Hill was established in 1870 by a British planter known as Henry. Nobody seems to know why the estate is known as Selim Hill. Chamong was also one of the first tea estates to be acquired by the Lohia Group and as such, holds a very special place in our hearts. Amongst the prettiest of our gardens, Chamong’s special charm stems from the presence of the little whistling birds that the Lepchas call “Chamoo,” who gather here in the summer. The estate is comfortably high in the hills and only a little above a third of its 332 hectares is devoted to the organic tea plantation; the rest is virgin forest land that promises thrills and quietude alike to the sensitive visitor seeking a place away from the madding crowd. Sourenee like most other Darjeeling gardens has an interesting story behind its name. Bjoujit Rai, son of the erstwhile Dakman Rai who was as responsible for the establishment of Darjeeling as Llyod, established Sourenitea garden by planting “Saur”– a kind of medicinal tree which grows in this region, and “Rani” which means ‘the queen of the valley’. A combination of those two words formed the name of the garden. It is a tea garden with a unique scenic beauty. Tumsong, the first of the Chiabari Tea Retreats to be open to the public, started out as a tea garden back in 1867 when the German Wernicke brothers, who had just started on the nearby Lingia garden (now a part of the Chamong Group) planted the estate around a temple to Tamsa Devi, a local deity. The temple stands on a steep slope that rises sharply from 2700 ft to 5500 ft and offers fantastic views of the majestic Kanchenjunga and the Golden Valley of Darjeeling. The locals believe that the goddess Tamsa presides over this serene landscape and in fact, they refer to Tumsong as the Garden of Happy Hearts. High up in the Eastern Himalayas, nestled next to the Kanchenjunga, the third highest mountain peak in the world, Darjeeling is about more than a brand of tea or a holiday in a hill town: it’s an experience best savoured when the tea and holiday come together – at Tumsong, Chiabari (literally meaning “tea-house”). This unique region, located at the northern tip of the state of West Bengal in India, is famous throughout the world for the teas produced in the 80 odd gardens here. Some 5000 feet above the sea level, the landscape turns magical. The pure air, the crisp breeze, the soft misting rain all come together in a wonderland where the tea grows with a finer flavour than anywhere else in the world. Tumsong offers fantastic views of the majestic Kanchenjunga and the Golden Valley of Darjeeling. The tea plants here grow very slowly and flavour the entire estate with their aroma. The locals believe that the goddess Tamsa presides over this serene landscape and in fact, the locals refer to Tumsong as the Garden of Happy Hearts. Come find out why. Built in 1862, Singtom Tea Estate & Resort is one of India’s first and most famous tea resorts. It is located in Singtom Tea Estate, which is one of Darjeeling’s oldest tea estates, established in 1852. Located only 20 minutes away from Darjeeling, we welcome guests from all over the world to enjoy our hospitality, experience tea tourism at its roots, gaze at the Kanchenjunga, and have Darjeeling’s best teas. Singtom is the only destination in India where you can walk all day through 1,600 acres of private estate, and then return to luxury at night. 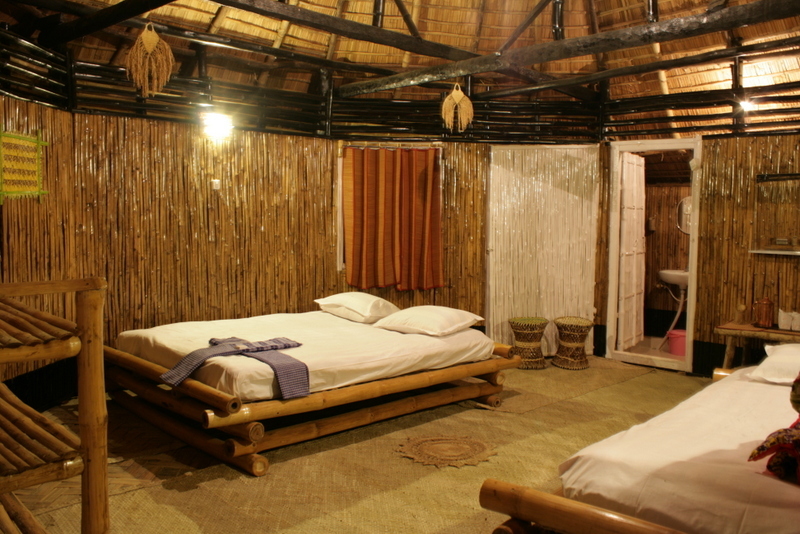 Each of our rooms is more than 500 sq. ft. in size and was built on or before 1862 by the British. As a result, every room has subtle Victorian influences that have been coupled with modern facilities so as to create a luxury tea estate experience. Staying in these rooms gives you an insight into the life of a British tea planter! Diana Tea Company aims to promote eco-tourism by devoting 125 acres of available land which is not feasible for tea plantation. One of the key goals of the firm is to instill consciousness towards conservation of nature and inculcate a sense of appreciation of the natural, biological and cultural history of the environment. 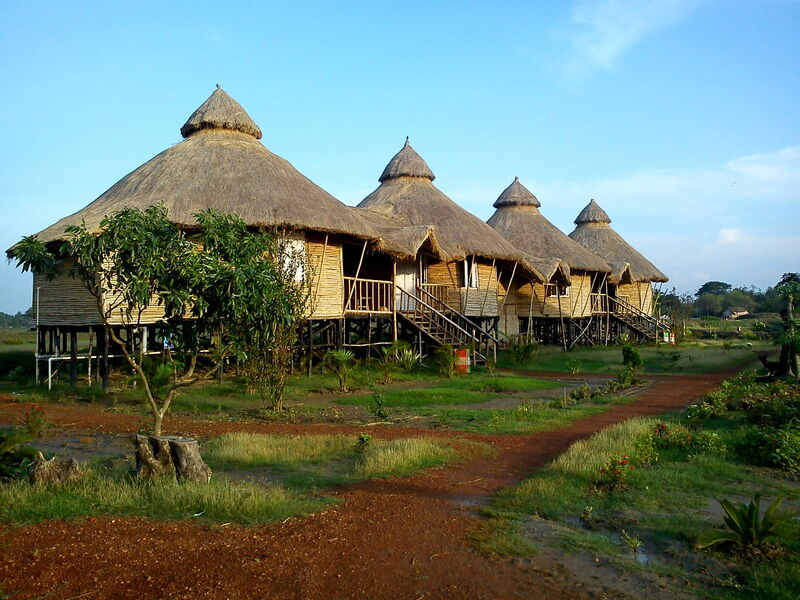 Therefore our chief motive is to educate people of the true essence of eco-tourism which constitutes of social welfare, ecological sustainability and concentrates on Nature. Located in the hill-station of Kurseong in the Darjeeling district of West Bengal, Makaibari was traditionally a family-owned and operated estate. Kurseong means “Land of white orchids” and the beauty of the place lives up to the name. Makaibari also holds the honor of establishing the world’s first tea factory, in the year 1859. The tea estate is a part of multi-tier system of trees and plants, akin to a sub-tropical rainforest. It is rooted in rich history, beauty and produces some of the finest teas in India. Glenburn stretches from a height of 3,700 feet all the Way down to the banks of the two Himalayan rivers, the Rungeet and the Rung Dung, that meander through it. Within its 1,600 acres Glenburn has forests that are a bird watcher’s paradise. Across the river lie the forests and villages of the old royal kingdom of Sikkim, which you can access via a hanging bridge. This 120 year-old, heritage tea estate – one of the earliest to commit to 100% organic cultivation – is a rather spectacular sight with its two mountain rivers with their many streams and waterfalls, and its tall and dense natural forests inhabited by a variety of mountain wildlife. The use of hydroelectric power, the lack of pollution and the carefully organic practices of cultivation have all helped create a Himalayan paradise for its mainly Nepali residents who are almost all connected with the plantation one way or the other. Goomtee Tea Garden is located near Kurseong in Darjeeling district and next to the National Highway (Hill Cart Road) that leads all the way to Darjeeling hill town. Out of about 225 hectares of gross estate area, about 50% is used for tea plantation. This is an organic tea garden which means that no chemicals or pesticides are used in growing the tea bushes. The estate produces one of the finest quality of orthodox Darjeeling tea and employs over 300 garden workers. The estate was set up by a British planter Henry Montgomery Lennox. West Bengal offers a variety of choice to a traveller from being the sweetest state to culinary, cultural, spiritual, film, wildlife and adventure tourism. 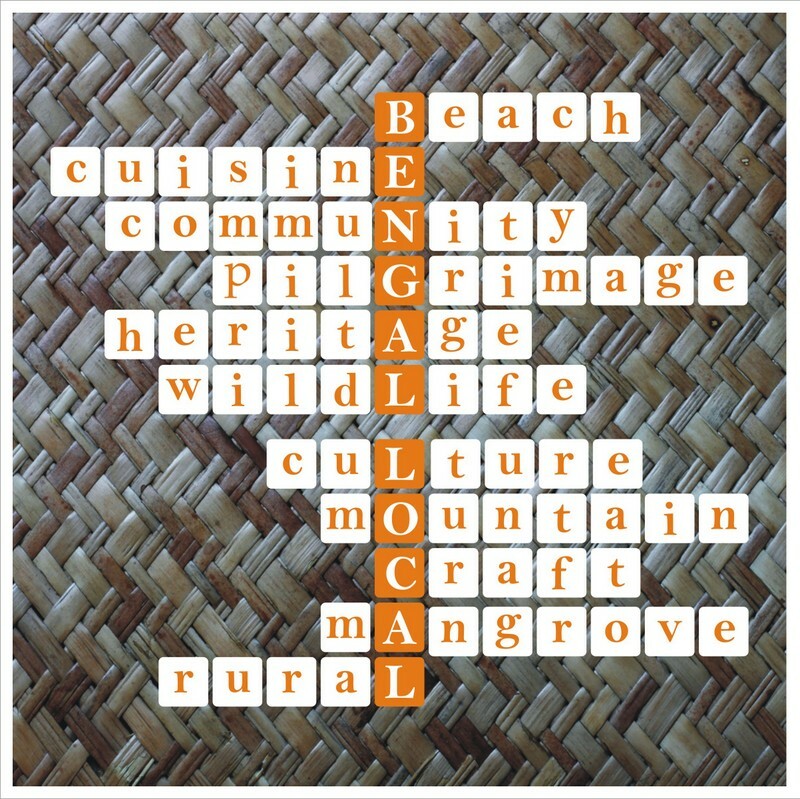 Bengal is fast emerging as an all-weather destination welcoming tourists on business, social, and leisure trips throughout the year, and in terms of variety of products, the State can be matched by few States. It is said that belying perceptions in certain quarters, Bengal has ranked fifth in foreign tourist footfall in 2016-17, while it is placed eighth in domestic visitor arrival for three consecutive years till 2016-17. 8.30 AM – Departure from Tourism Centre with Packed Breakfast. 11.00 AM – Halt at Shaktigarh for Tea Break. 11.30 AM – Departure from Shaktigarh . 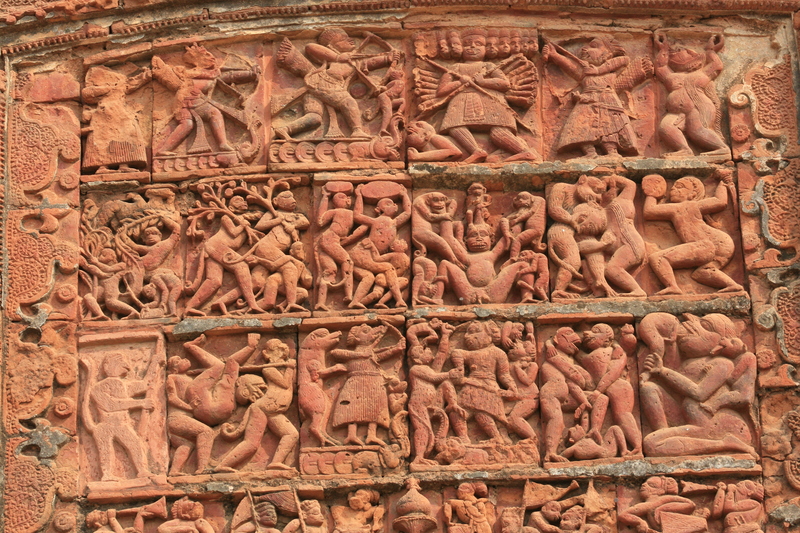 12.45 PM – Reach at Shantiniketan Tourist Lodge. 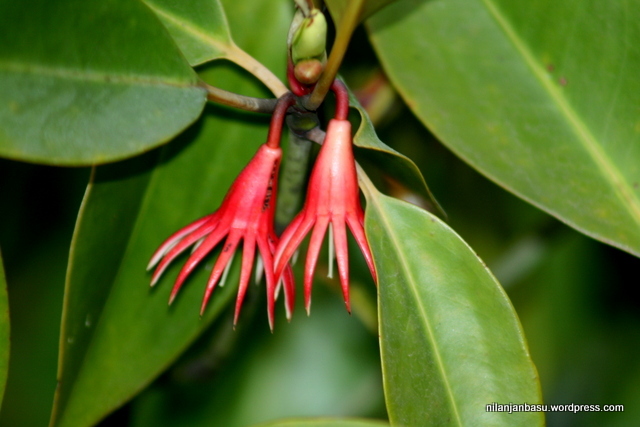 3.00 PM – To visit at Kankalitala. 6.00 PM – Return from Kankalitala, Evening Tea & Snacks. 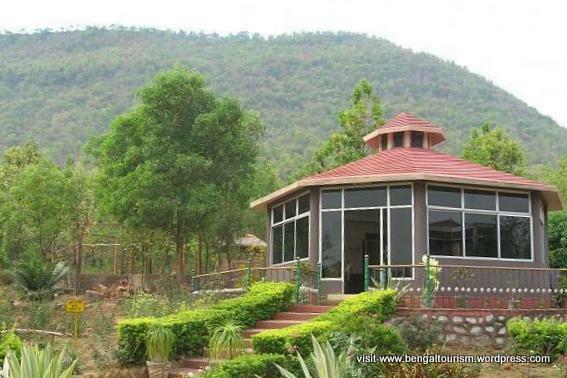 9.00 PM – Dinner at Shantiniketan Tourist Lodge. 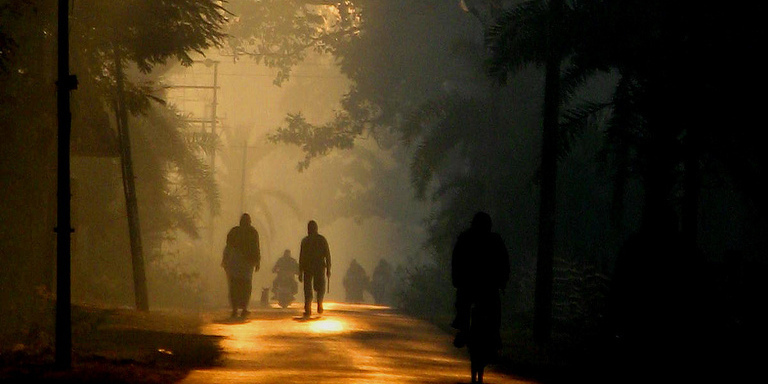 9.00 AM – Breakfast at Shantiniketan Tourist Lodge. 1.00 PM – Lunch, after lunch tourist will visit Mela ground on their own (1Km). 6.00 PM – Tea & Evening snacks at Santiniketan TL. 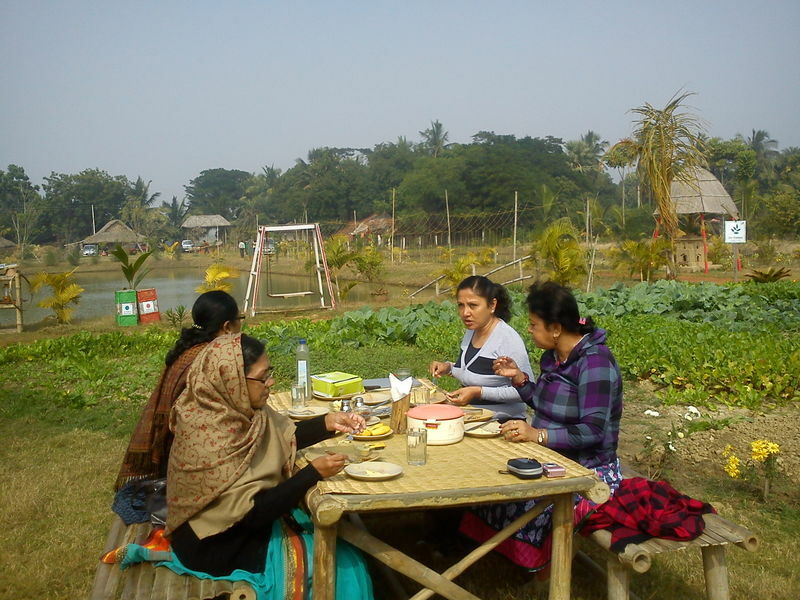 11.30 AM – Lunch at Shantiniketan Tourist Lodge. 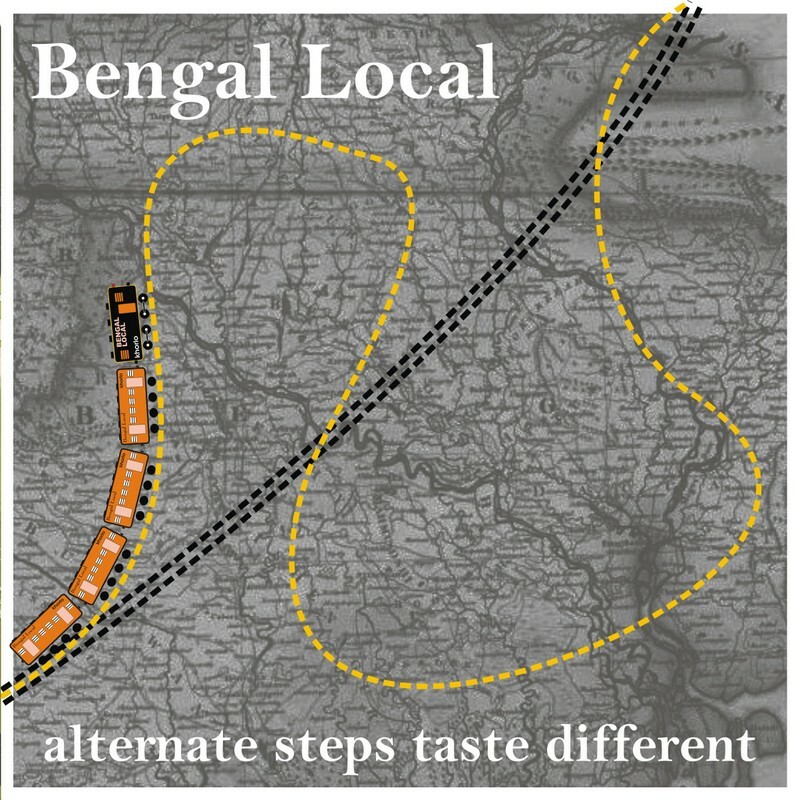 12.00 Noon – Start for the return journey to Kolkata. 6.00 PM – Reach Kolkata. 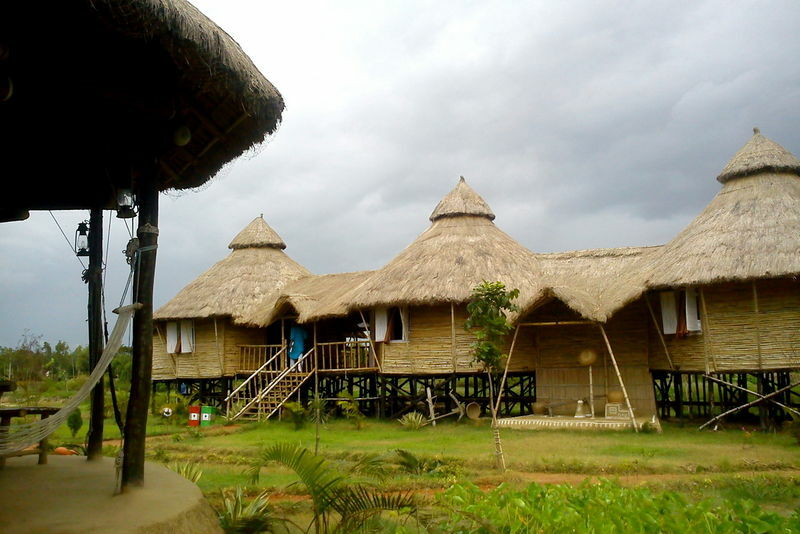 Pacakage Includes: Transportation ,Accommodation in Twin Sharing Room Basis, All Meals. Timings & Itinerary May be changed due to unavoidable circumstances. 7.30 AM – Report at Tourism Centre. 8.00 AM – Departure by AC Bus with Packed Breakfast. 12.30 PM – Reach Rangabitan. 3.30 PM – Visit Mela Ground. 12.00 NOON – Lunch, after Lunch check out from Rangabitan. 8.00 AM- Departure from Tourism Centre by AC Bus for Diamond Harbour with packed Breakfast. 10.00 AM- Reach Diamond Harbour and board at MV Chitrarekha/MV Sarbajaya, tea will be served. 4.00 PM-Reach Kochuberia ,Night Stay at Kochuberia, Dinner will be served on board. 2.30 AM(Next day)- Tea will be served. 4.00 AM- Start from Kochuberia Jetty towards Bus Stand by walking (10 Mins), Bus will be halt at Helipad ground at Gangasagar Island (30KMS,Approx). 5.00 AM-After Bath , visit Temple. 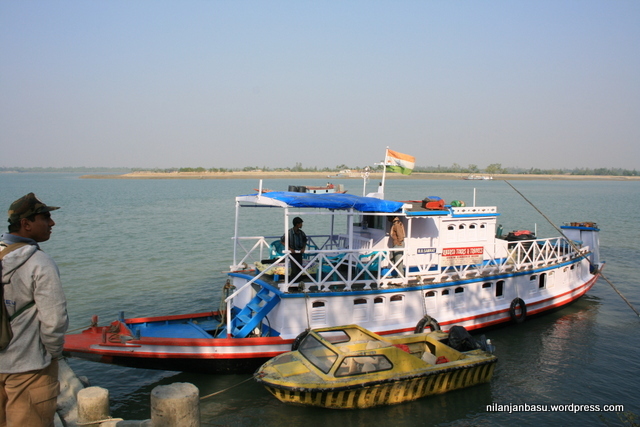 10.00 AM- Bus will start from Sagar Island and lunch will be served. 4.00 PM- Reach Diamond Harbour. 6.00 PM- Reach Kolkata . Includes: Accommodation in Vessel, Transporation, All Meals (Veg). 08.00 AM: Reporting at Tourism Centre, 3/2 B.B.D Bag, Kolkata-700001, transfer to Santiniketan (180km) with packed breakfast. Afternoon free for visiting Viswabharati University Campus, marketing and individual activities.